On 13 and 14 March 2016 CODART and the Contactgroep Vroege Nederlandse Kunst organized a CODARTfocus meeting in ‘s-Hertogenbosch in conjunction with the Noordbrabants Museum and the Bosch Research and Conservation Project (BRCP), on the occasion of the exhibition Jheronimus Bosch – Visions of Genius. This meeting included an exclusive visit for our group to the exhibition on Monday morning. To mark the 500th anniversary of Jheronimus Bosch’s death, the Noordbrabants Museum has organized an exceptional exhibition. With thanks to prominent institutions such as a.o. the Museo Nacional del Prado in Madrid, Musée du Louvre in Paris and the National Gallery of Art in Washington Visions of Genius brings together 20 of the last 25 known surviving panels by the artist. In addition, 19 drawings of the master will be shown. In preparation of the exhibition, the BRCP was started in 2010 to conduct studies at 20 institutions around the world. 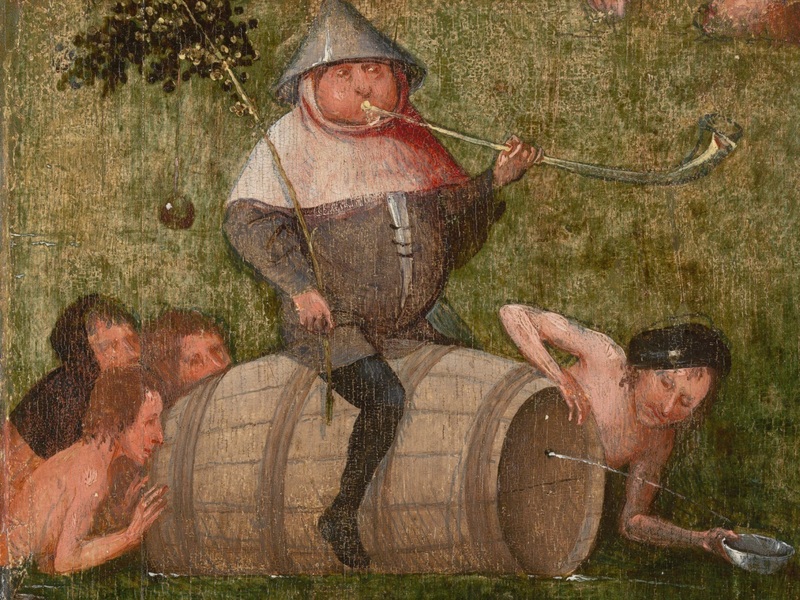 Experts of the project examined aspects of Bosch’s artistic process and used modern techniques to research and restore panels prior to the exhibition. Several researchers involved in the BRCP have been asked to illustrate their work to the participants of this CODARTfocus. In the afternoon of Sunday 13 March a session of lectures titled The New Jheronimus Bosch opens this CODARTfocus meeting. We will meet in Music Center De Toonzaal, near the Noordbrabants Museum, where Jos Koldeweij, Professor of the Radboud University Nijmegen, will speak about Bosch’s biography, his commissioners and collectors. Afterwards, Prof. Dr. Robert G. Erdmann presents an introduction to the Bosch research project. The day concludes with drinks at the city hall of ‘s-Hertogenbosch offered by the Mayor of the city, Ton Rombouts. On Monday 14 March we will have the exclusive opportunity to visit the exhibition before opening hours. Afterwards, we will return to the Toonzaal and Charles de Mooij, the director of the museum will speak about the concept of the exhibition. In the context of Connoisseurship and Bosch, the morning session focuses on the works newly attributed to the artist. Maryan Ainsworth, Curator of European Paintings at The Metropolitan Museum of Art, New York, will be our chair on Monday and she will also lead the discussion that follows the morning session. The afternoon session covers aspects of various restoration projects, including lectures by conservators and restorers of the Saint Christopher in Rotterdam, the three Venetian panels and the Last Judgment of Bruges. A panel discussion led by Anne van Grevenstein, Emeritus Professor of the University of Amsterdam, will round off the afternoon. You can find the complete program here or download it in PDF. Registration for the CODARTfocus is open for members of CODART and members of the Contactgroep Vroege Nederlandse Kunst. We have a few places available for students. Registration requests will be handled in the order in which they are received. The registration fee is 75 euros and includes all parts of the program. Students can register for the reduced tariff of 40 euros. CODART does not arrange accommodation in ‘s-Hertogenbosch. To register please fill in the registration form and return it to events@codart.nl. You can pay your registration fee online by clicking here. You will receive an invoice with an invoice number by email after we have received your completed registration form. Please note: cancellations before 1 March 2016 will be refunded with deduction of bank charges and postage. Cancellations on or after this date will not be refunded. This CODARTfocus is a collaboration between CODART, the Noordbrabants Museum ‘s-Hertogenbosch, the Bosch Research and Conservation Project, the city of ‘s-Hertogenbosch, the RKD – Netherlands Institute for Art History, De Toonzaal and the Contactgroep Vroege Nederlandse Kunst.